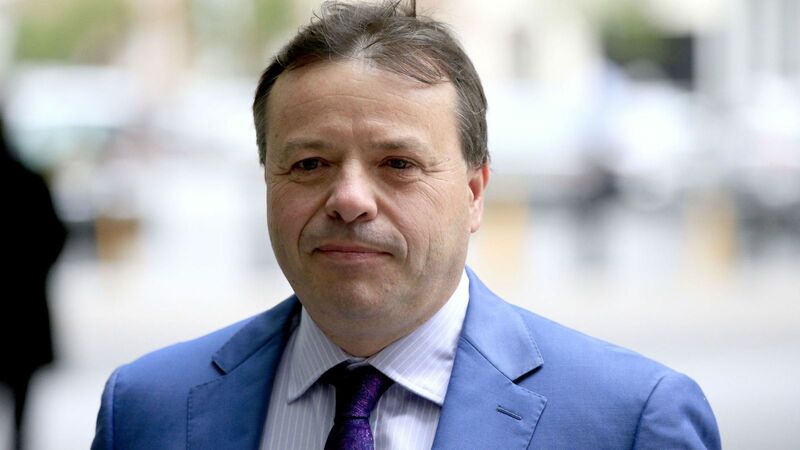 The former UKIP donor Arron Banks has told Sky News that he wants to recruit 50,000 new members into the Conservative Party. The Brexit backer and close ally of Nigel Farage has recently attempted to join the Tories, but his attempts to do so have been thwarted by Conservative Central Office. 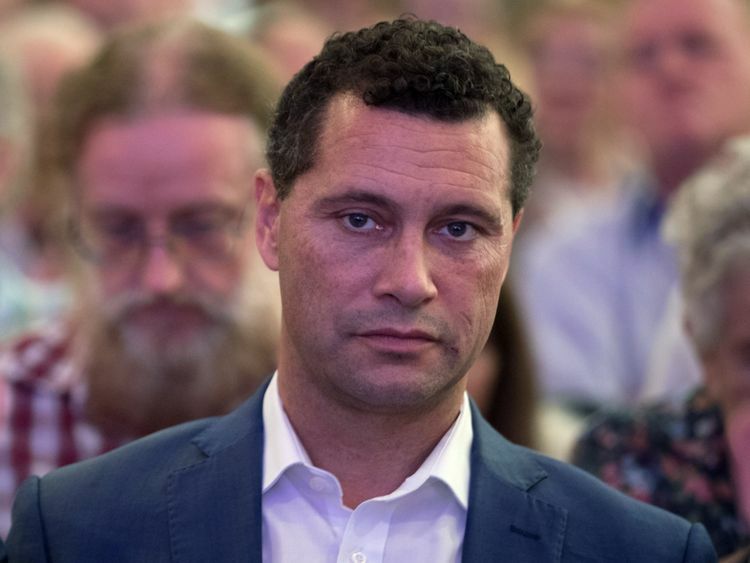 He, alongside former UKIP MEP Steven Woolfe, have founded the “Blue Wave” organisation, which is dedicated to recruiting former UKIP members – and others who wish to secure the hardest of hard Brexits – into the Conservatives. Mr Banks and Mr Woolfe both say that the only way to secure the Brexit they campaigned for is from within the Tory ranks. Blue Wave cites the fact that Leave.EU, the grassroots pro-Brexit campaigning organisation, sports a million followers on its Facebook page alone. 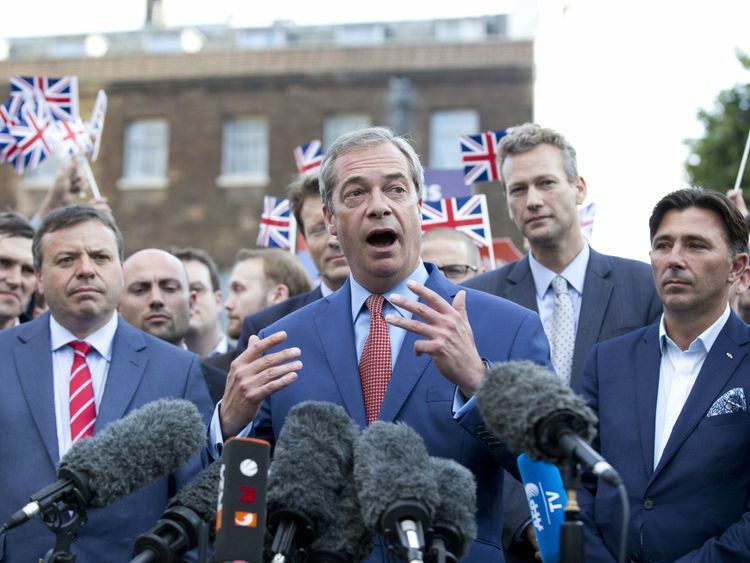 If just 5% sign up to join the party – both to exert pressure on Brexit internally and vote in the next leadership election – then they will have secured that objective. They claim they have recruited 3,000 new members to the party in the last three weeks alone – though Conservative Central Office disputes those figures. Sky News spoke to one such convert called Martin Bardot. A former UKIP council candidate and long-standing member, he has joined the Tories. Whatever Blue Wave’s achievements, it is nonetheless easy to see why, theoretically at least, the Conservative Party is ripe for entryism. The latest figures suggest that the Tories have 120,000 members. With even relatively modest inflows, the equilibrium within the party could be much shifted. And it isn’t just the Brexit equilibrium about which Mr Banks and Mr Woolfe care. The latter told Sky News that, over the long-term, the aim is to return the Conservatives “back to its roots” – a focus on the military, the family and more traditional values. The Conservative Party has blocked the membership applications for both Mr Woolfe and Mr Banks. However, they have both pledged to continue to recruit new members regardless. Mr Woolfe told Sky News that he had received “lots of support from the grassroots and MPs”. Andrew Bridgen, Tory MP for North West Leicestershire, has pledged to accept Mr Banks into his local association irrespective of the wishes of Central Office – saying it is absurd that with Tory membership at such anaemic levels that the party should turn people away. One Tory MP told Sky News that they and other colleagues would be willing to take CCHQ to court if they continue to interfere. In one sense, this is Conservatism returning home, in more ways than one. You could say that, without the European issue, most of these people who would have been in Conservatives anyway. Historically, when it had members in the millions, there was always a very strong right of the party. Many of them were shorn over Europe and David Cameron’s turn to a more liberal conservatism. Nonetheless, it will change the Tories. With new members of a more right-wing hue, it’s much harder to see a more liberal centrist Conservative candidate winning with the membership whenever the next leadership election comes. What hopes for a Ruth Davidson or an Amber Rudd or Jeremy Hunt with tens of thousands of ardent Brexiters swelling the ranks? They all risk looking like the David Miliband of the Labour Party: good candidates whose party had already intellectually and politically moved on.